All of the theme images that are included are 100% Retina Ready and will look absolutely fantastic on high resolution displays like the MacBook Pro Retina, iPad, iPhone or any other Retina device. We have built in theme options for users to upload their custom Logos and Favicon’s to ensure they are Retina Ready. 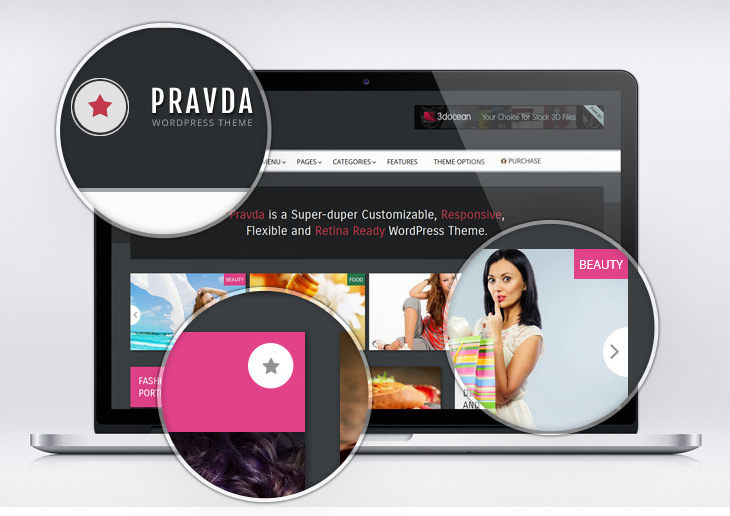 Pravda will look stunning and attractive on any high-resolution display thanks to the ultra-sharp graphics included with the theme.